Interview: Nat Foster of Press Club Talks Halloween Hysteria Festival – Spotlight Report "The Best Entertainment Website in Oz"
We had the chance to catch up with Natalie Foster, singer of Australian band Press Club. 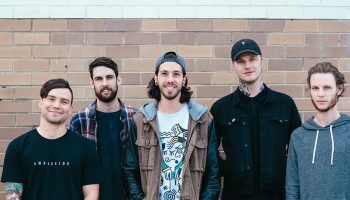 We chatted about their upcoming show at Halloween Hysteria Festival in Brisbane, their brand new record Late Teens, and their upcoming national tour. SR. You guys will be playing at Halloween Hysteria festival soon, are you looking forward to that? Yeah, it’s gonna be a fun one, we love Brisbane. The crowds there are always so lovely to us. We’ve played there quite a few times, headline show and festivals, it’s been awesome. SR. Your new record Late Teens is out now, tell me a bit about that. It’s a body of work that we created as a band. We put our heads together and started writing about eighteen months ago, and had about fourty rough tracks to pick through, we narrowed it down to an album’s length and recorded it. SR. Do you have a favourite track from the new record? I do, my favourite is ‘Golden State’. It’s a bit more personal for me, and it has a lot of meaning. When I recorded it, I could picture the whole situation it was about. It conjures up some special memories for me. SR. Is that your favourite song to play live? No, probably not. My favourite to play live would probably be ‘Headwreck’, it really motivates and energises me during the set. ‘Suburbia’ is fun but overwhelming to play, it’s pretty full on, the vocals kind of hit you in the face. SR. Will you be dressing up to match the theme of Halloween Hysteria? We don’t have plans to, but I dunno, maybe we could do something wild and silly. You’ll have to come to the show to find out. SR. What bands are you looking forward to checking out at Halloween Hysteria? Yeah, we played with Clowns and Void of Vision the other day, and I had to be down by the merch desk during Void of Vision’s set, so I didn’t get to see as much of them as I wanted. I’m keen to see them play this time around. SR. You guys are going to be touring at the end of this year, can you tell me about that? Yeah, we’re doing a bit of a national tour, we’ll be doing sixteen dates across the east coast, including Adelaide. We’ll be down in South Australia on the eighth of December for Stonecutters Festival, which is going to be wicked. SR. What is the spookiest thing that’s ever happened on tour? Nothing too scary, we’ve watched some horror movies on tour and scared ourselves a little, but that’s about it. Nothing spooky enough for me to remember *laughs*. SR. Is there any exciting news that you’d like to share with your fans? We’ll be down at Halloween Hysteria on October the 27th, you should come along, it’s going to be heaps and heaps of fun! We’re going to be playing some brand new tracks that we haven’t played before, so get yourself to Halloween Hysteria for some exclusive new songs! 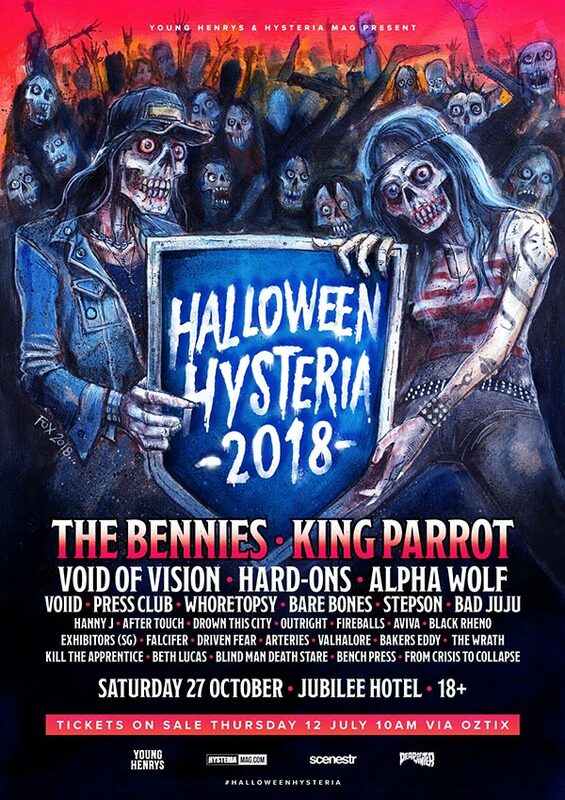 Catch Press Club, along with over fourty other acts over four stages, at Halloween Hysteria in Brisbane. If you’re a lover of Halloween, or a lover of great music in general, this is an event you don’t want to miss, so grab your tickets now! You can keep up to date with Press Club by following them on social media or via their website.